Without your staff, you essentially have no business. These people are what makes your business run, what makes it work. They are so crucial to the success of your company that from an entirely practical point of view, their happiness shouldn’t be an afterthought. Not only will happy employees be more productive but there will be a lower turnover rate which will reduce costs spent on hiring, interviewing and training. Here are some of the ways to attract and keep!) the best staff members for your business. There are certain things employees will be looking for when they’re searching for a job. In order to attract the best workers with the most experience, you need to offer more than just a good salary. Benefits such as pensions, life insurance, dental and disability plans all make your company more attractive. You could even offer training and education for the right person, allowing them to study and work. If you’re in an IT field, something like an online Bachelor’s in Computer Information Systems degree could be useful, that way they could study around their working hours. Training up staff and paying for their education means you can ensure they are qualified in the exact areas you need them to be. Plus it allows you to snag the best candidates since there’s something in it for them too. Other ways you can offer good employee benefits is by providing smartphones, tablets, laptops or company cars to certain staff members. If you have salespeople, for example, these are things that can make their lives a lot easier. Your office is where your employees spend most of their day, so it’s not something to overlook. If yours has seen better days, did you know it could be having an effect on the morale productivity of your workers? Give the walls a fresh coat of paint, something light and neutral will make it look bigger and brighter, not to mention newer and cleaner. Dot around some living plants which have been shown to boost mood and promote productivity in the workplace. 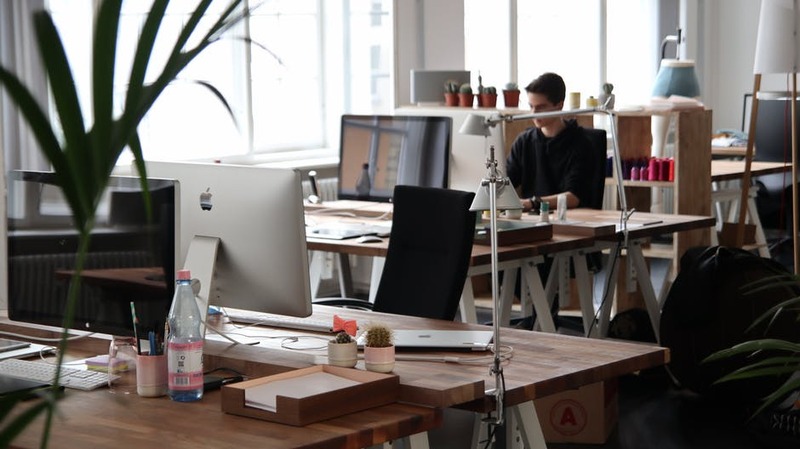 As well as making a good impression to clients or customers that visit your office, it will be a much nicer environment for your employees to work in too. Business is highly complex. Different departments have to work together in harmony, much like the individual cogs of a finely tuned machine. To ensure everyone is on the same page, and that staff can work together as a team as well as just individually, why not arrange some team building activities? You could book in with a company that offers this kind of thing, and either attend for a day or even a full weekend. You could practice team building activities in the office, and you could also arrange regular social gatherings. The occasional free lunch or dinner is always going to go down well with employees and will encourage interaction between them. Research has shown that strict bosses don’t get the good results you might expect. When people are scared of their boss or find them unapproachable, you can find that issues aren’t raised as quickly as they could be and that actually the stress doesn’t allow employees to do their best work. While professionalism is important, be friendly and approachable. Let your workers know they can speak to you if there’s a problem. Things like workplace bullying, theft and other issues will be raised far more quickly and can be resolved more quickly that way too. Previous Post New Tech Innovations: No Longer The Domain Of Big Brand Names?